Consumers Credit Union Headquarters | AVB Inc. The exterior of the new three-story Consumers Credit Union headquarters is 65% glass. 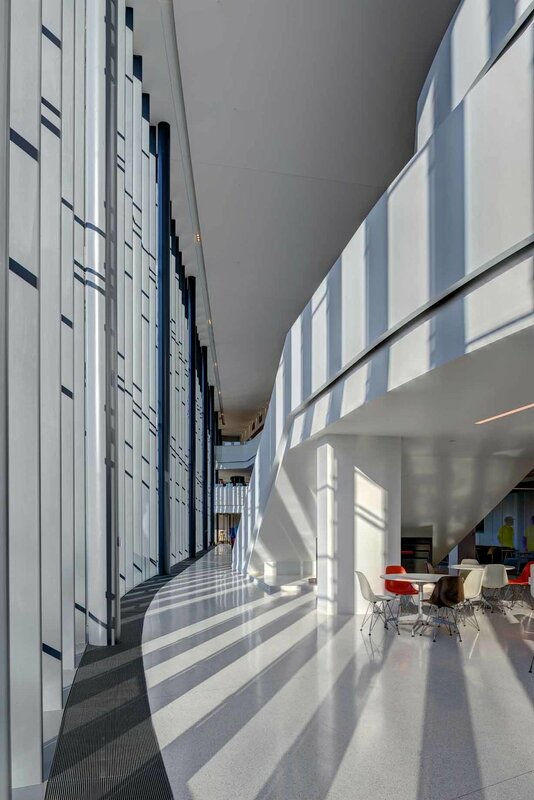 The stunning curtain wall is 43 feet tall by 400 feet long and spans over a 190 foot wide valley. 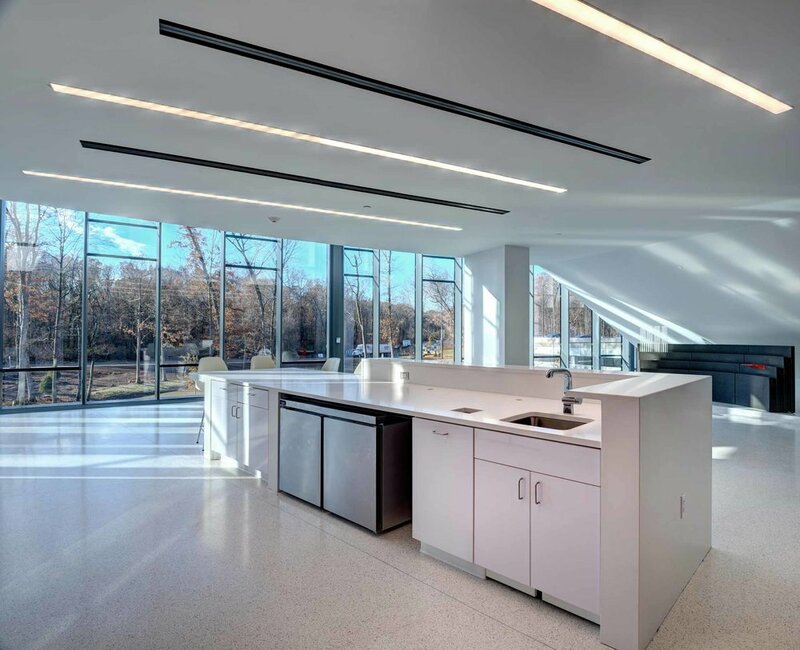 Adjoining the 92,000 square foot facility is a 236 car concrete parking structure, built to conserve the natural wooded setting that surrounds the new building. 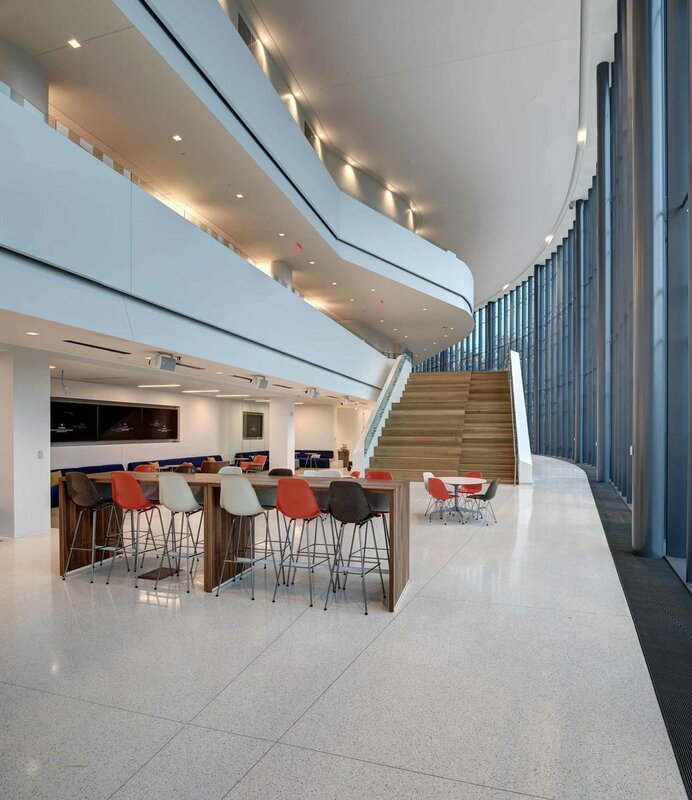 The state-of-the-art headquarters takes advantage of cutting edge technology and a well thought out design to accommodate today’s modern work environment and flexible work flow. 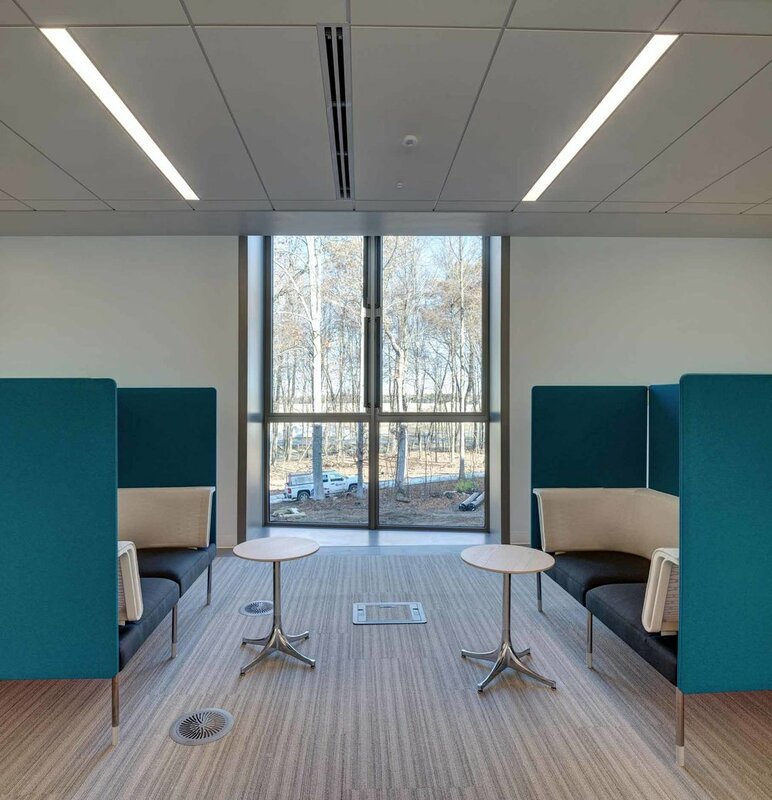 The new office features several different types of meeting and conference rooms, extra-large cubicles, and work pods to accommodate employee’s need for collaboration, privacy and productive work habits. 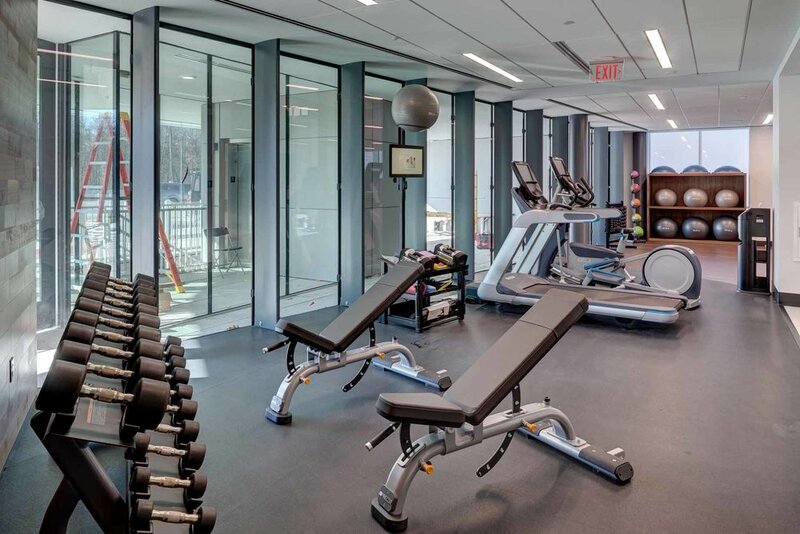 The interior also features three elevators, a monumental staircase, workout area, kitchenette and LED lighting throughout. 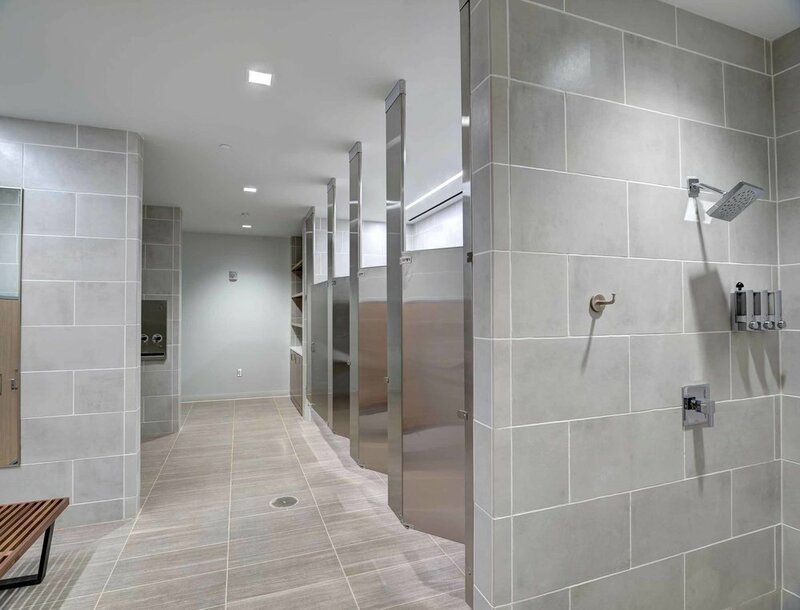 This facility raises the bar for office environments in Southwest Michigan on a number of levels. 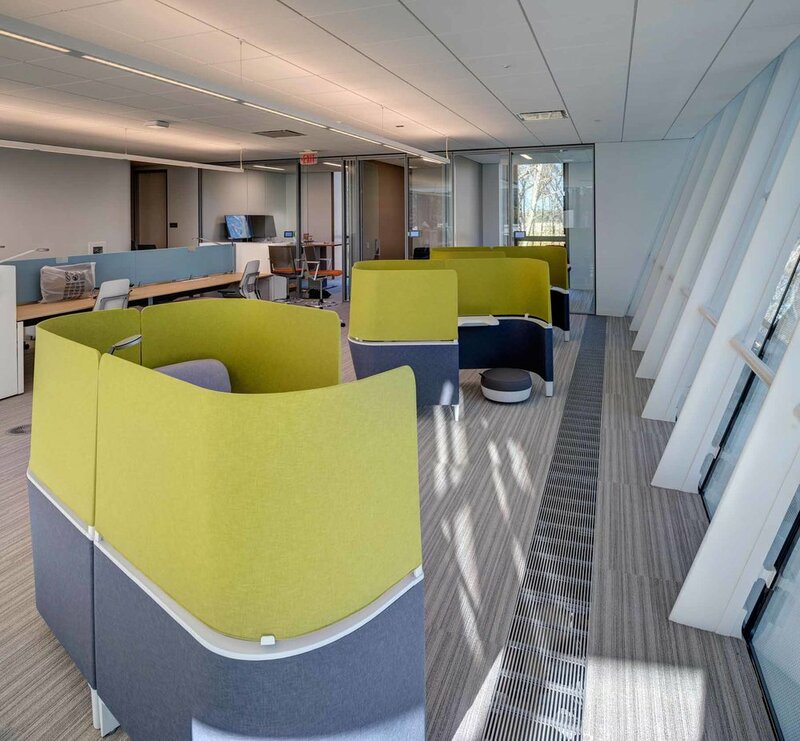 The complex design of the new Consumers Credit Union headquarters building, both in terms of architecture and systems, made executing this project both challenging and fulfilling. We look forward to seeing the positive impact this new facility will have on the Consumers Credit Union team and future office environments within our community.